Formula Drift Champion Vaughn Gittin Jr. today announced the formation of the RTR Drift Team, their tentative 2013 worldwide schedule, and the reveal of his Monster Energy Nitto Tire Ford Mustang RTR livery. This year marks the beginning of a new era for Vaughn coming into his tenth season of professional drifting with the formation of the RTR Drift Team. He is focused on his duties as RTR Team owner and driver, and is also taking full advantage of the freedoms that come along with being a team owner – as portrayed by his unique new livery. Vaughn will be piloting a brand new 2014 Ford Mustang RTR built by Autosport Dynamics and will make its first competition debut at Formula Drift Round 1 in Long Beach, California April 12-13. Having worked side by side with Vaughn since 2007, ASD will supply their valued support yet again for the 2013 season. Combining the superior knowledge and car building skills of the ASD crew, with the proven driving ability and aggressiveness behind the wheel of 2010 Formula Drift Champion Vaughn Gittin Jr., there is no doubt that the RTR Drift Team will be a serious force on the track. While Vaughn’s number one priority is to chase down the Formula Drift Championship, he will also be taking his global efforts to the next level in 2013. Vaughn will once again head to China to compete in the World Drift Series, as well as participate in select competition and demonstration events in Europe. Just as years past, Vaughn will continue to perform at select demo and experiential events in the USA. Thanks to Monster Energy and Ford Motor Company, this year he will be heading to select military bases surrounding the Formula Drift Championship on Sundays after competition, to provide demos and ride-alongs for some of America’s finest men and women. 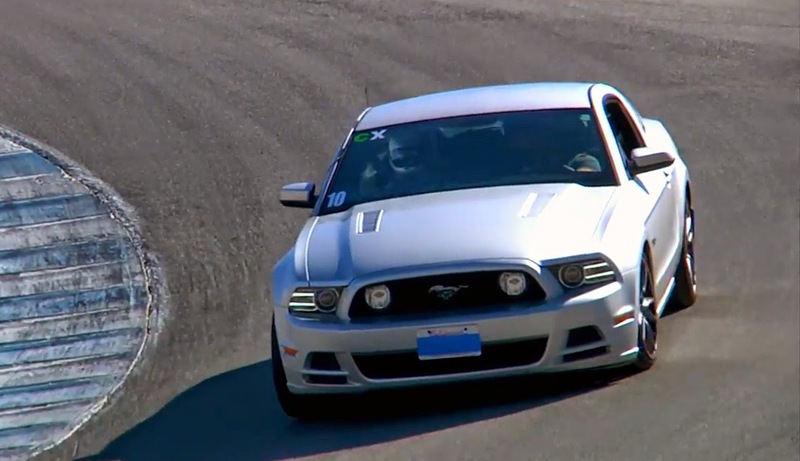 This entry was written by by MustangsDaily (Mustangs Daily) and posted here on Tuesday, March 26th, 2013 at 2:17 pm and is filed under 2014 ford mustang rtr, ford mustang rtr, formula drift, Motorsports, mustang rtr, vaughn gittin jr., vaughn gittin jr. mustang. This article was not written by us, rather gathered using RSS feeds listed here. We take no credit for this article. You can leave a response, or trackback from your own site.